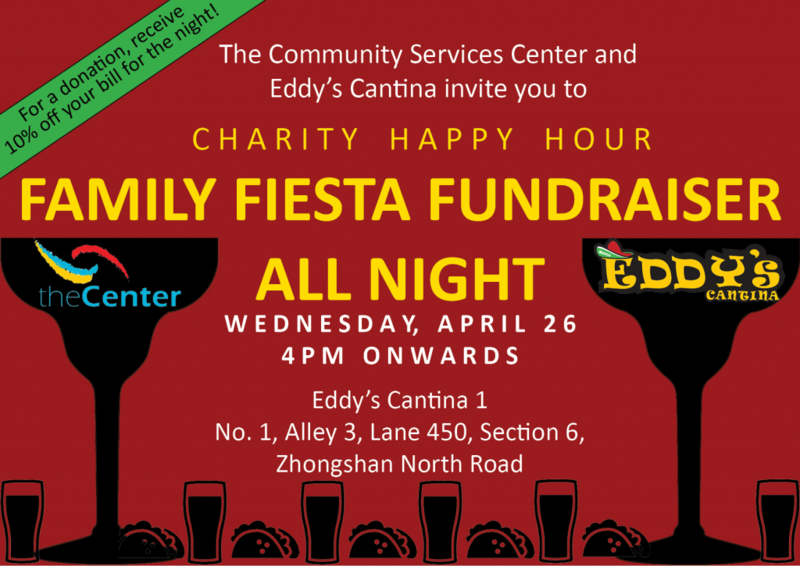 Come join us for the Family Fiesta Fundraiser at Eddy’s Cantina #1 on Wednesday, April 26th. This is an all night happy hour starting at 4pm to benefit The Community Services Center. For a donation (min NT$100) receive 10% off your entire bill for the night! 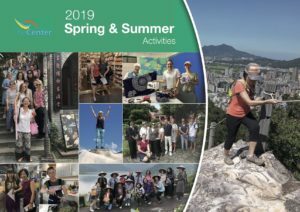 All ages are welcome to this all night event, enjoy the patio before the heat of a Taipei summer starts! A portion of the proceeds from the night will go to The Center. Eddy was born in Canada and is of Mexican descent, both of his parents were born in Mexico and they eventually immigrated to Canada for work. Everything in the Gonzalez household was always Mexican, the language, the food, the culture, the music and even the brightly colored walls. As an adult Eddy moved to Taiwan and fell in love the Island, the weather and his future wife Jo. 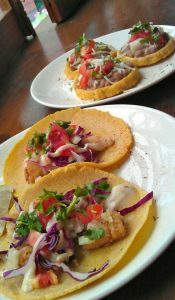 Eddy’s Cantina started as a small burrito stand in Tamsui called Eddy Burrito in 2007. Three and a half years later, Eddy’s Cantina was given an opportunity to open a location in Tianmu and so they did. Both Eddy and wife Jo decided that with an even larger location in a busier area, they could reach and attract a larger more diverse crowd. Eddy’s Cantina Tianmu has been open for about five years now and they continue to provide both locals and expats in Taiwan with a little piece of Mexico. Eddy is a big fan of good beer, who isn’t right? With the boom of locally made craft beer, in November 2014, Eddy’s Cantina built their very first Kegerator dedicated to pouring only local craft. It was a hit and Eddy’s has since started becoming a well known for being a platform where locally brewed craft beer can be served to craft beer lovers. With the success of Eddy’s in Tianmu, Eddy and wife Jo had the opportunity to open a second Tianmu location in November 2015.
same recipes that have been passed down from generation to generation. Their goal is to provide home-style Mexican food to whoever walks through our doors. All of the tortillas are homemade and the salsas are made fresh every day from local ingredients ensuring that you have not only high-quality Mexican food, but also healthy food that you can give your family with no preservatives. Their mission is to provide fresh, healthy and delicious Mexican food for you and your family.